I treat myself every Friday morning to the biggest Latte that Starbucks has to offer. I sometimes grab something to eat for my breakfast too. I saw this Luxury Fruit Bread the other day and was very taken with the idea. It was, indeed, delicious. It was shaped like a loaf but on closer inspection you could see that it was actually the top and bottom of a ‘bun’ that was shaped to look like a slice of bread. 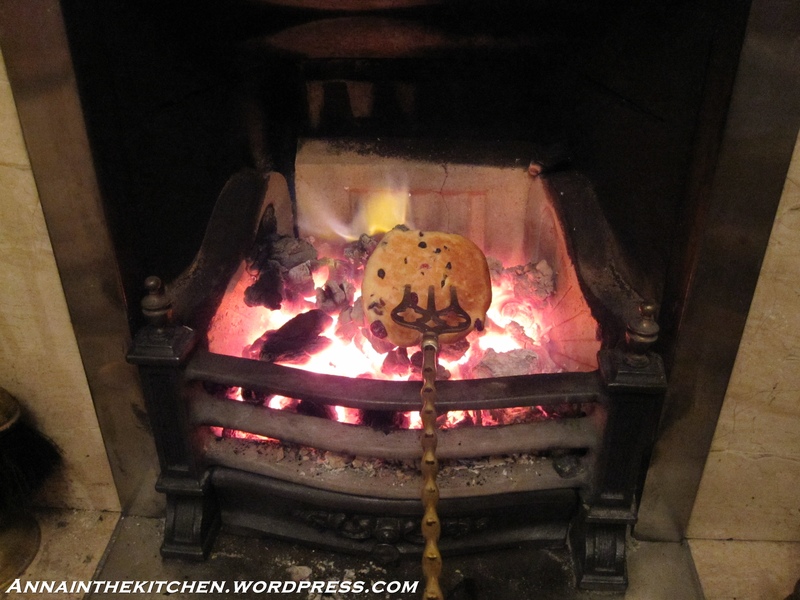 It was also not a Fruit Bread, Luxury or otherwise, but a Teacake. A toasted teacake, that staple of tea shops across the region! 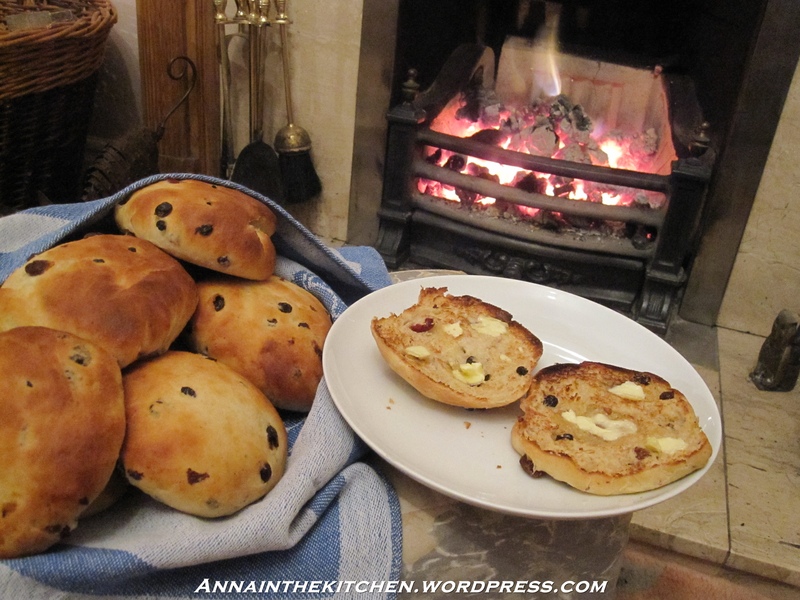 So I made it my challenge this weekend to find a teacake recipe. Now I have to say right here and now that this teacake recipe is not the recipe for the Starbucks Luxury Fruit Bread. It’s close but it’s not quite there. This is a much lighter dough that the almost stodgy one in Starbucks. But this is still a delicious little thing and, in fact, I quite like the lack of heaviness. I think these are best eaten fresh out of the oven toasted over an open fire, but that’s because I have both an open fire and a set of toasting forks. I love toasting things on the fire. You can hear them toast! And you always get just the right level of toasting. However, I’m pretty certain that a grill or toaster would do just fine! – First put all of the dried fruits and the water in a small, microwave proof bowl. Mix a little to moisten. Microwave for 1 minute. – In a jug mix the milk, egg and sugar together. – In a large mixing bowl sift the flour, salt and yeast together. – Rub in the lard with your fingers. – Make a well in the centre of the flour and tip in the contents of the jug. – Mix well until all combined. – Turn out onto a floured surface and knead until smooth. – Knead the fruits into the dough. – Form the dough into a ball and place in a greased bowl. Cover with clingfilm and leave to rise in a warm place for 1 hour. – Knock down the risen dough and knead a little. – Heat the oven to gas mark 7 1/2. Place 2 baking sheets in the oven while it warms. – Divide into 12 balls. – Remove the warm baking sheets from the oven and grease lightly. – Flatten each ball so it is about the size of your palm. – Place the discs on the baking trays, leaving about 1″ between each. – Leave to cool for a few minutes then split and toast. Spread with butter and enjoy! *I didn’t dry mine enough and the dough turned to goo. This is an odd dough in that a tiny bit of extra moisture makes it go really wet but then it only takes a bit of flour to take it back the other way. If your dough does go rather wet and sticks to everything then simply add a little more flour and knead in and it’ll come right again. Sorry it’s taken me this long to stop by… as you can tell, I’ve been neglecting my own little blog as well, as I’ve just started a new job. I’m glad I finally had the chance to come see what you’ve been up to, because everything looks great! I’m so jealous of your open fire… perfect for toasting! I’ve been at my job for about 2 months now and I still haven’t got the hang of it, I need at least 3 more hours in the day! I love the fire, it’s one of the reasons I’m still with my parents, (that and the dog) I need a house with a decent kitchen and a fire! I have to be honest, I’ve never made my own teacakes before, I normally buy them but this has made me want to give it a go. The good thing about making your own food is that you can experiment with other ingredients. 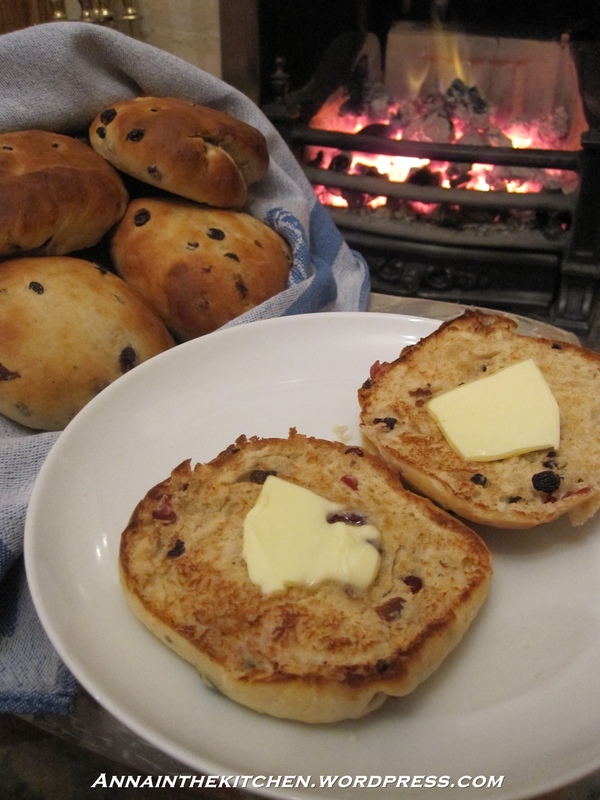 The recipe looks delicious; but, of course, Yorkshire teacakes don’t contain fruit. Let’s not open that particular can of worms! In my particular part of Yorkshire a tea cake is a sweet fruity bun like this. YMMV of course! I’ll going to try these! I wonder if the ‘stodginess’ is in part due to them being toasted in a panini machine?